The Razors SL skates are known for being one of the best skates to customize, and the new SL Mint skates are no exception. Every piece is replaceable and the shell can accommodate almost any liner. 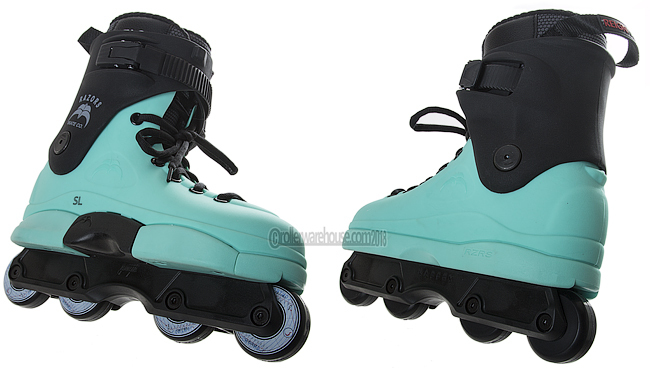 The Razors SL Mint skates are simple yet clean with the mint and black color scheme. Just begging to be customized we wanted to keep it simple like the stock setup but throw some custom goodness in there. Grab yourself a pair of these Mint SL skates before their gone!